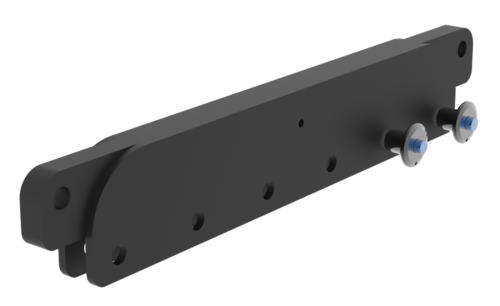 The GRD18EXTBR is an extension bar, that can be inserted on the front or the rear of the GRD18, to extend the leverage capabilities of the GRD18, with larger centre-of-gravity (COG) array off-sets. With the GRD18EXTBR inserted on the front side of the GRD18, the upward array tilt is extended; With the GRD18EXTBR inserted on the rear side of the GRD18, the downward array tilt is extended. The front and rear holes measure 14mm/0.55-in, to facilitate 1,5T shackles. The GRD18EXTBR is secured with two quick release pins.